Greek island of Crete and two gentlemen from different walks meet one rainy day. One is Basil (Alan Bates), a half-British half-Greek writer who has arrived all the way to this island from Britain to look after his father’s property and reopen lignite mine. The other guy is Zorba (Anthony Quinn), a very enthusiastic Greek Santouri musician who offer Basil to help him in his mine mission. Basil and Zorba lives in a hotel run by French widow and very romantic crazy lady, Madame Hortense (Lila Kedrova). Zorba is a lively romantic character as he first persuades Basil to make love with her but rejects, then Zorba takes the opportunity. Zorba is the central character who makes Basil believe that his dream will come true, he will achieve what he want. Despite a failed persuasion of making love with aged Madame Hortense, he offer another help to Basil to make chance with another widow (Irene Papas) but young and attractive woman which somehow becomes successful. The widow (whose name never come to notice in the whole movie) has a tortured life living alone but surrounded by many men in the Crete village attempting to win her. Like every soulful human who wish to stay happy and graceful with life, Zorba also has his tragic fate on his back. Zorba is no different, he also has a dark past who fought for his country against the Turks and Bulgarians. As he tells Basil that he killed people, burnt villages and raped women. But he put all this in his tragic past to restore peace in his life. He is married but dropped his family behind. Basil and Zorba makes a fantastic on-screen friendship and ‘TRUST’ remains the only element hanging around in the whole 142-minute drama as they are perfect strangers to each other. With such a storyline, things could have concluded in the easiest way but last half an hour made a dramatic bravura to end the movie in an unreachable journey. I may say the conclusion was the happiest sad-ending or the saddest happy-ending to watch. 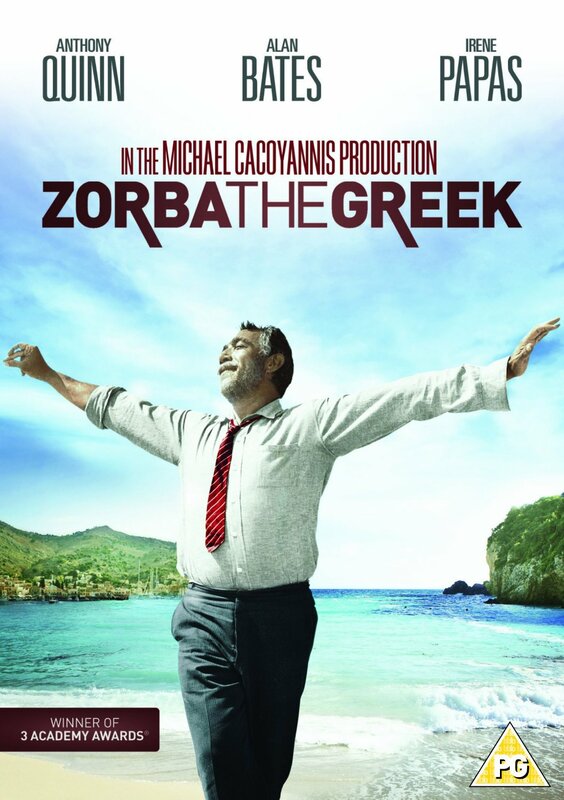 Zorba the Greek is one of the finest movies produced in the sixties, based on Nikos Kazantzakis‘ 1946-novel with the same title. The core character Zorba is based on real life character George Zorbas (1867-1943) who was a miner, later a monk. George Zorbas did meet tragedy when his wife died and he fought war. Later he befriend with the writer. The movie was nominated for 7 Academy Awards and winning three of them specially Lila Kedrova for Best Supporting Actress for Madame Hortense. Ironically Anthony Quinn nominated for Zorba lost Best Actor award to Rex Harrison for My Fair Lady despite on of his career’s best performance. 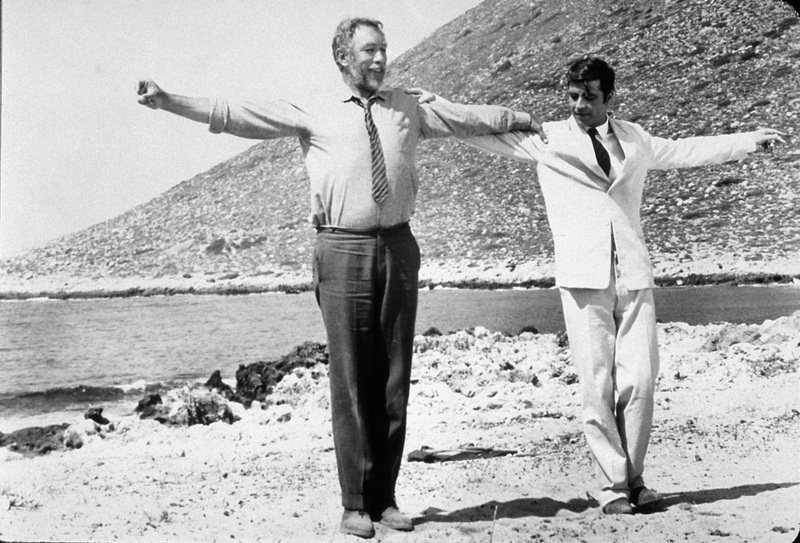 Zorba the Greek is a culture-influencing movie because of that remarkable dance performed by Anthony Quinn. Those steps became known as ‘Zorba Dance’, and then ‘Sirtaki‘ which become part of Greek culture. Music score by Mikis Theodorakis is inspiring which brings more charm in the movie.